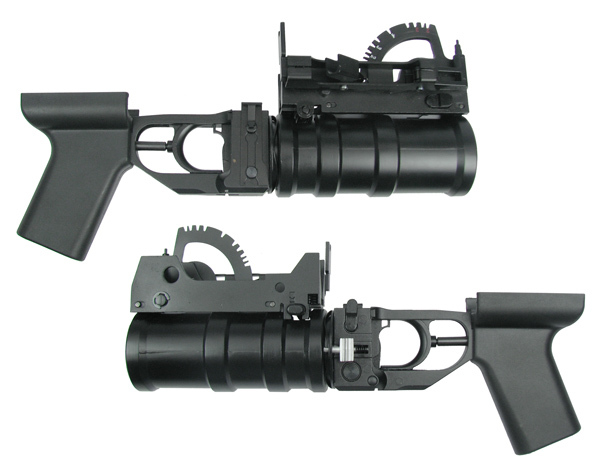 This grenade launcher is designed for AK series AEG. The body is full metal constructed and the hand grip is made of Nylon Fiber. The mounting system helps the launcher to be installed and detached easily. Suitable for most 30mm cartridges such as King Arms M381 HE VN and M433 HEDP cartridge. It can be used to store battery as user's preference. Package includes Triple Grenade Pouch and three M381 HE VN 120R Cartridges. This Product is for Toy Guns only. Pictures are for reference only. Actual product might vary.